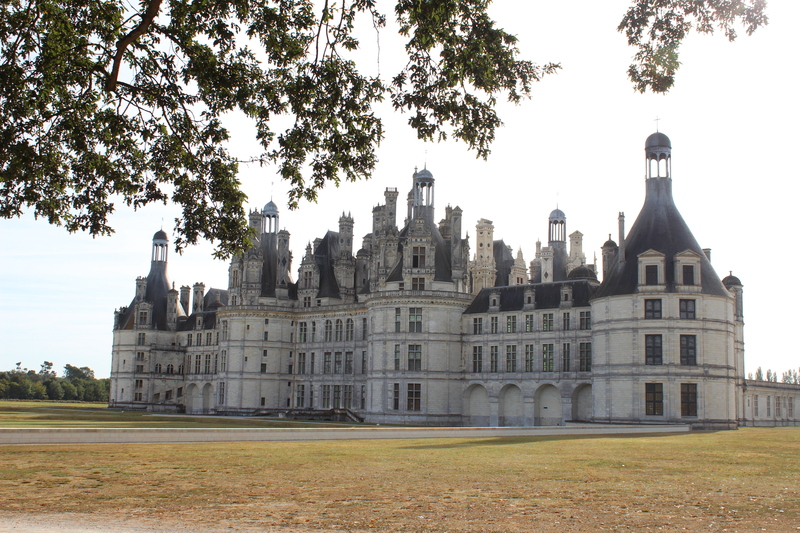 As we drove into the Loire Valley yesterday, we were stunned to see the lavish chateaux everywhere. We expected vineyards and quaint villages. Instead, these ‘getaway lodges’ for the rich and powerful litter the countryside. Chambord Château: just a humble hunting lodge really. Set on a mere 13,000 acres of forested parklands, complete with rutting stags and more, the chateau has enormous fireplaces in every room – but it still looks like a drafty, uninviting old place to stay in. Which is probably why King Francois I didn’t spend much time there after it was built. 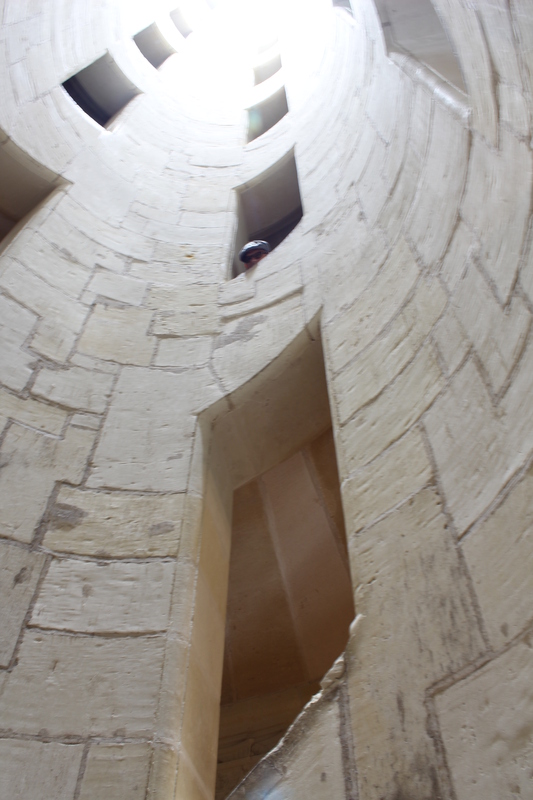 Chambord’s double helix staircase was brilliant. Two open parallel flights of stairs are wrapped around a hollow core. So EB and I could enter the staircase on the same floor, but from opposite sides, and we could see each other walking up and down…but we’d never cross paths. Spooky. That one’s going straight to the pool room, Henry. And then there’s the pool room… I mean, trophy hall. 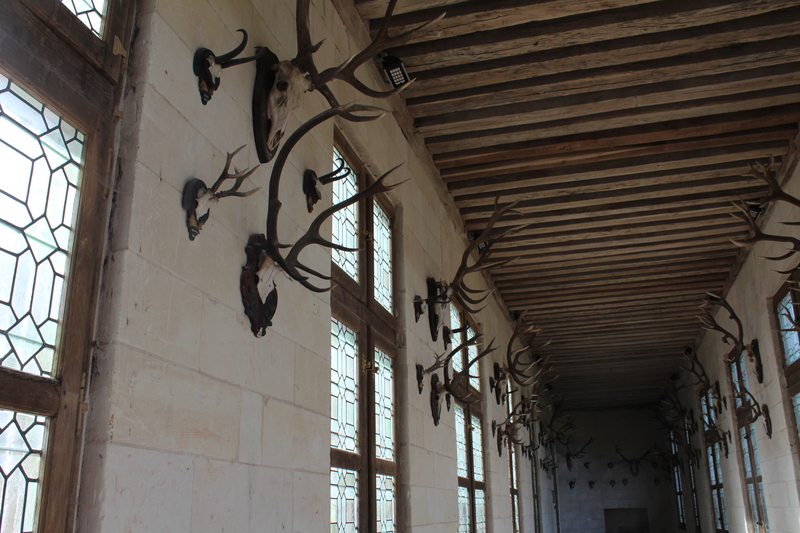 These (pictured) are just a few of the ‘decor peices’ hanging around the chateau. This is probably the best-known chateau in the region, but there are better – or so we’re told. But finding cellar doors that are open on a Thursday afternoon – that’s the real adventure. We finally came across the Cave des Productuers de Vouvray, and took the tour to find out about the methode traditional and (of course) try the fabulous final product. This entry was posted on Thursday, September 20th, 2012 at 9:56 pm	and tagged with chateau, Loire Valley, wine tasting and posted in France, Travel, Uncategorized. You can follow any responses to this entry through the RSS 2.0 feed. It’s a tough life but you seem to be coping. Thanks for giving me a tour of the chateaux – it will be good to see yours too! yeh, bit hard to take, ‘chelle. Hope you’re loving life in V… miss you!